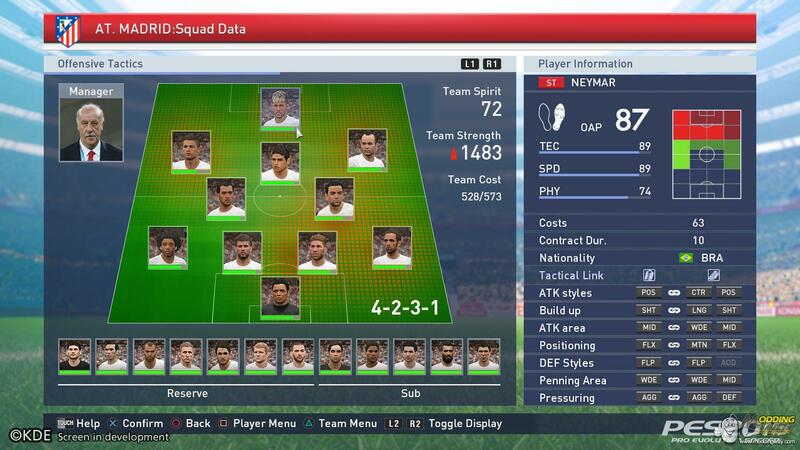 Konami has announced full details of the many additions it has made to the forthcoming PES 2015. With the publisher previously announcing its intent to elevate the game’s on-field realism to all-new levels, it has now confirmed PES 2015 both on and offline. ‘The pitch is ours’ is the ethos that dominates PES 2015. Through the combined efforts of the Tokyo and Windsor-based PES Productions team, the aim has been to recreate the drama and tension associated with a vital match. 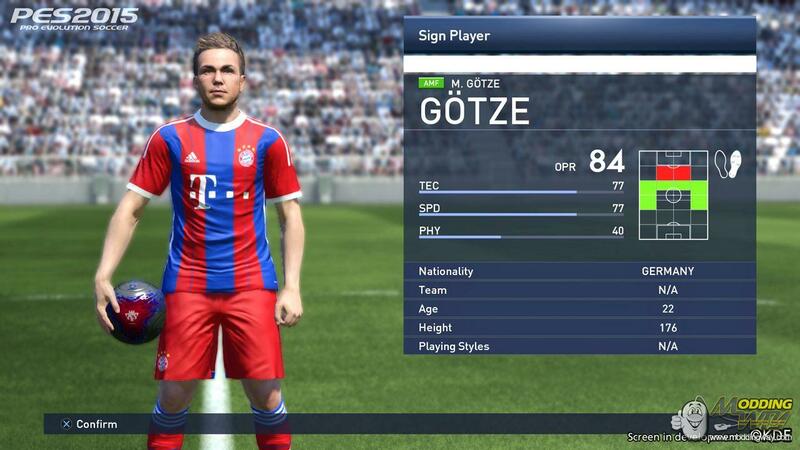 PES 2015 marks a concerted return to core PES values of total control, utterly responsive controls and unrestricted gameplay, where the user has complete control over how they play. Evert pass, shot or run is finely balanced to give maximum player satisfaction within PES 2015’s on-field action. Poetry in Motion: The individuality of the players is further enhanced with seamless animations. No sacrifice to animation has been made in the pursuit of fast response, yet the movements flow effortlessly calculated in real-time and dependent on the player’s position in relation to the ball and its speed. Player models themselves are also carefully enhanced. QuickMatch: Simpler ranking match-ups to speed up online games. 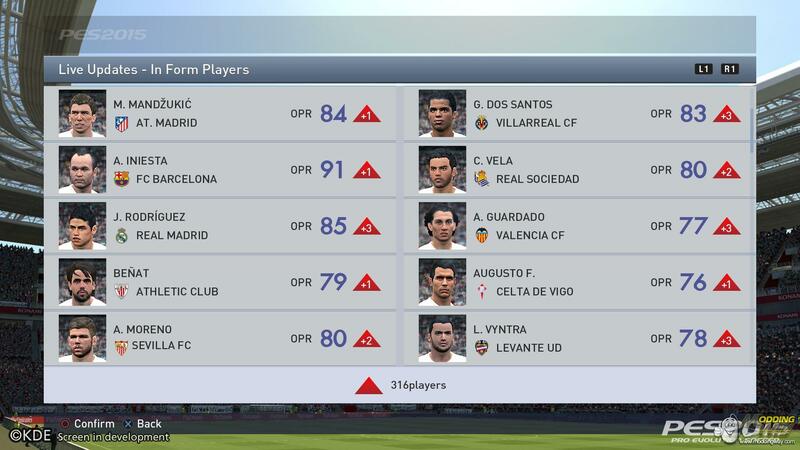 Online Divisions : Accrue points in online matches across a season to aim for a promotion or face delegation. Dedicated 11v11 Lobbies: Makes large-scale multi-player games more fluid and easy to set up. Cheat Measures: New courtesy system introduced to reduce online cheating. Master League: Revised structure for player growth, transfers, managers and auto-match settings. 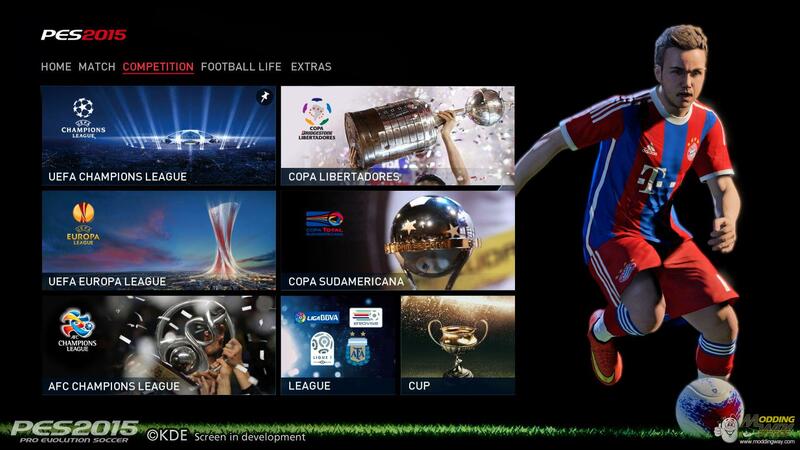 New cut-scenes and National Super Cups implemented. Become A Legend: Training modes enhanced, specific BaL match simulations, new transfer and recruitment systems, including a second tier league. Weather: Rain has been implemented.